NEW YORK (Reuters Health) – One percent of non-Hispanic whites in the U.S. – close to two million Americans – have celiac disease, but most are not aware they suffer the gluten-intolerance problem, according to a new study. The results back up earlier estimates of how common celiac disease is in the U.S. and Europe, the researchers say. They also support evidence that the condition is far more rare among Hispanics and blacks. “This one…is pretty much in line with what was shown before,” said Dr. Alessio Fasano, director of the Center for Celiac Research at the University of Maryland, who was not involved in the study. Fasano said that despite how common the condition is in the U.S, he’s not surprised that few people have been diagnosed with it. “The symptoms are so vague and non-specific that it’s very difficult to point to celiac disease when you have (for instance) chronic fatigue or anemia or joint pain,” Fasano said. Celiac disease is mainly a gastrointestinal disorder, and when people who have it eat gluten, they experience an immune reaction that damages the intestinal lining. Most studies to determine how widespread the condition is have been done in Europe, so the researchers sought to get a sharper estimate of celiac disease in the U.S.
Dr. James Everhart, at the National Institute of Diabetes and Digestive and Kidney Diseases, along with colleagues at the Mayo Clinic and in Sweden, used data from a large, ongoing national study of health and nutrition. 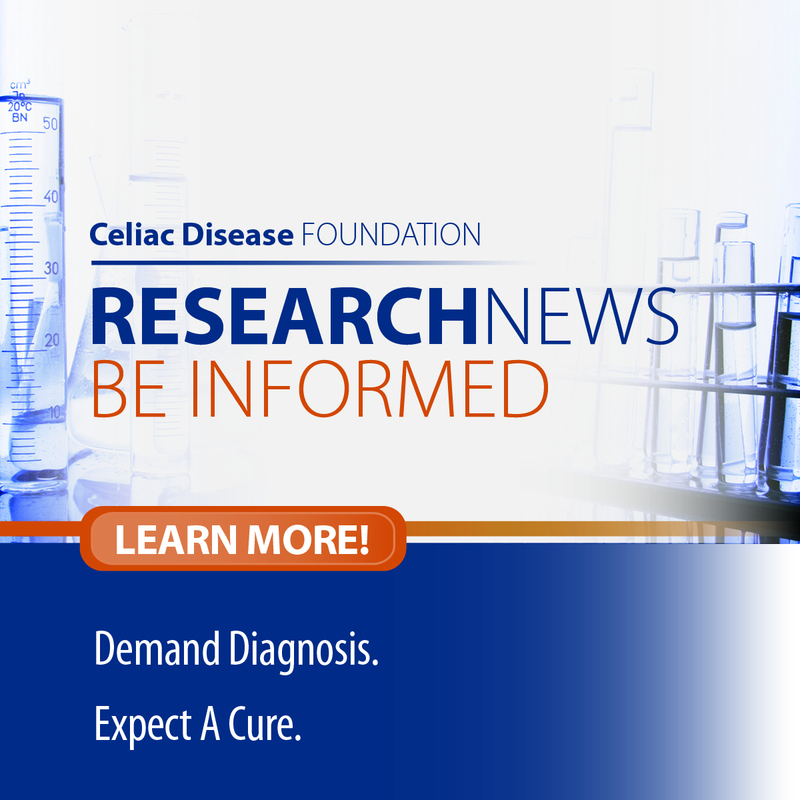 About 7,800 people participated in the celiac survey, and gave a blood sample that was tested for signs of the immune response to gluten that characterizes celiac disease. The researchers, who published their study in the American Journal of Gastroenterology, found evidence of celiac disease in 35 people, 29 of whom were not aware of their sensitivity to gluten. Six of the 35 people with celiac disease were not white. Everhart says that based on the number of non-whites in the study – 4,368 – having just six test positive illustrates that celiac disease is pretty rare among non-whites. “I think we confirmed the clinical suspicion that this is largely a condition found among non-Hispanic whites in this country,” he told Reuters Health. Celiac disease is managed by following a gluten-free diet, which involves avoiding foods such as wheat, rye and barley. In the study, 55 people reported that they followed a gluten-free diet, although only six of them tested positive for celiac disease. Based on his clinical experience, Fasano said there are a number of people who choose to abstain from gluten not for medical reasons, but for other perceived health benefits. “They believe, right or wrong, that gluten is not good for them,” he said. Although awareness of celiac disease has increased in the U.S., the study shows that few people are aware that they may have it themselves. “This is a big issue,” said Everhart, and the study does not lay out a clear path for trying to identify more people suffering with the disease. “Screening everybody is not the way to go,” said Fasano. Celiac disease can develop at any age, making it difficult to know when to test people who don’t have symptoms. “If you don’t have symptoms, it’s hard to say categorically that identifying you as having this condition is going to do a lot of good at this point. That’s for (other) studies to determine,” said Everhart. Everhart and his colleagues are continuing the survey to gather more numbers showing which groups of people appear to be most at risk of celiac disease, and whether the health of people with celiac disease is different from those without it. SOURCE: American Journal of Gastroenterology, July 31, 2012.